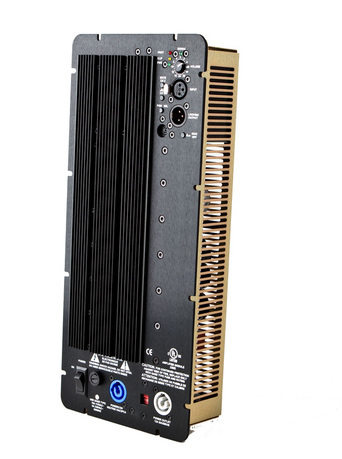 SpeakerPower's SP2 is a complete two channel self-powered amplifier with DSP signal processing. 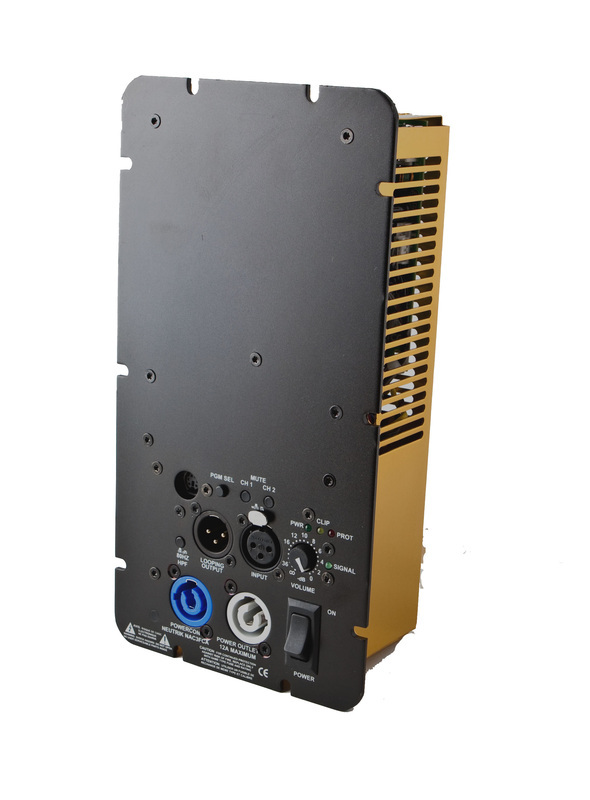 It is applicable to full range biamplified two-way loudspeaker systems and biamplified three-way systems with passive mid/hi crossovers. Wholesale/OEM only. You must be a loudspeaker manufacturer with sales to the public, meet minimum purchase and other requirements to qualify to buy these products. Compact yet powerful. Only 6-8 lbs, 7 x 15.65 x 2.8 inches WxHxD. 500W and 1000W models. 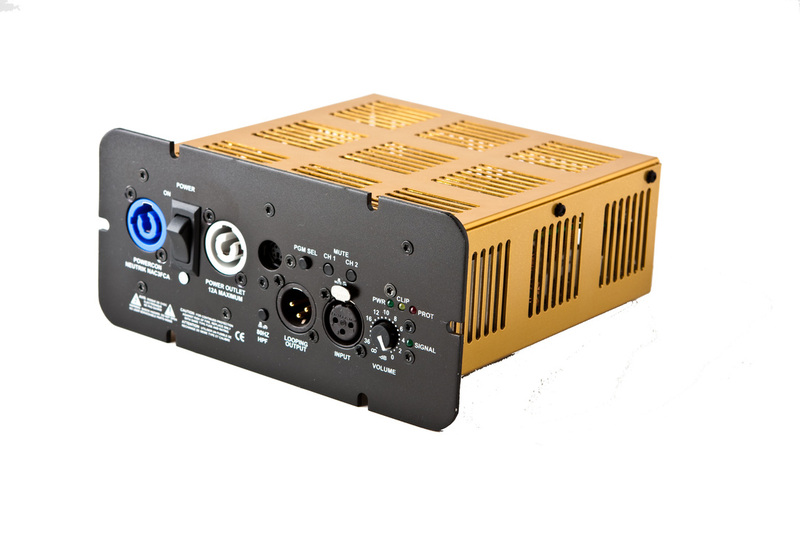 200W models are 3 lbs, available in two different sizes: -T is 5.3 x 10.3 x 2.8, -S is 7.9 x 3.7 x 7.